I’m from Belgium, where everything is grey for the better part of the year. Where people are nice, but so ‘classic’. There is nothing enchanting about us, since we live in an ‘industrialised’ part of the world. I am lucky to live in Morocco now where life is also very inspiring, but my roots are in grey clouds…. In the many years that I have been visiting India, what first struck me were the colours, the smells and the beauty of the people. My first discovery was the richness of life, be it high-end or basic. Every single traditional object has charm, either in design or material. One aspect I find fascinating is that everything is available or can be easily produced. Even when a material or fabric doesn’t exist, it is possible to make it. So often, I feel like a child in front of a Christmas tree full of presents! 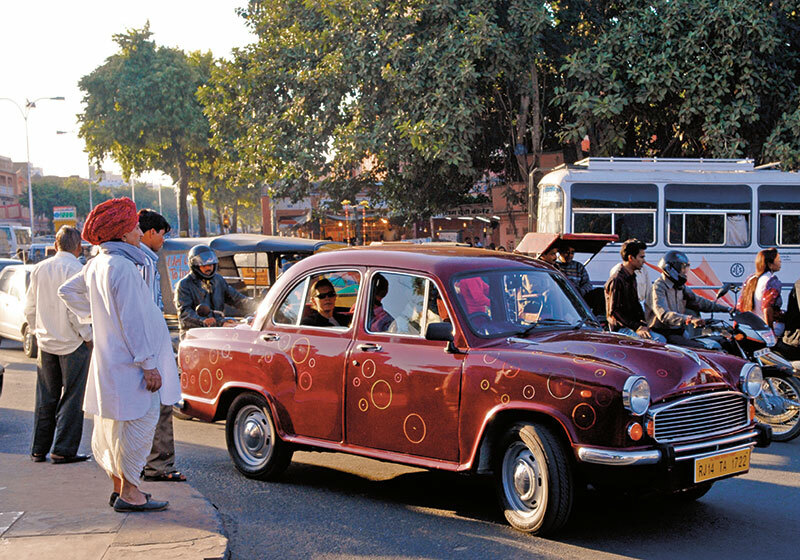 My connection with this country began in 2002, when I came for a three-week trip to Jaipur to work on my next V. Barkowski home linen collection and fashion brand. Nothing else was planned, but I ended up spending three months here instead, and began to design and set up production of all kinds of new projects. I discovered a rich world of artisans and was so excited that I practically did not sleep during those months. This first visit led to many serendipitous meetings with talented people and finding ideas in unusual places. I took inspiration from India and gave it a ‘twist’ to match the sensitivity and style of my audience abroad. I decided to do a photo shoot in a handmade paper factory for the brand Kagzi in Sanganer, Rajasthan. 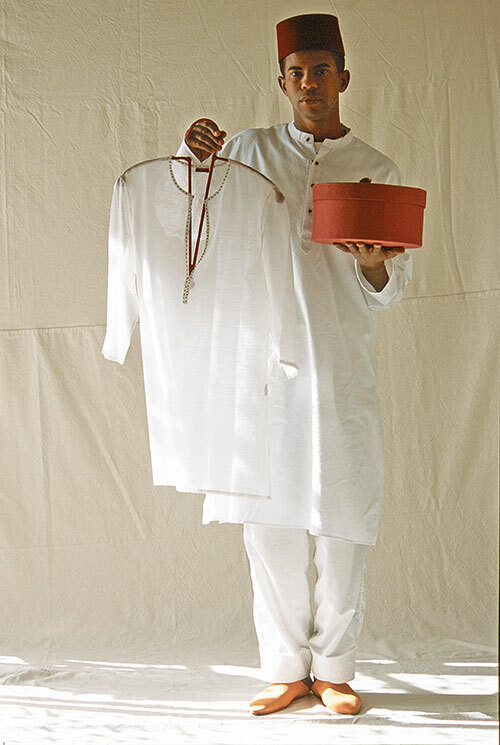 Arif Kagzi, who was in charge along with his brothers, started a stitching unit to produce my designs for a loungewear collection called Voyage. Looking back, it was quite a gamble, but it worked. So I decided to design and produce the packaging for my products as well. I loved watching the handmade paper being created. Later, I became friends with Munnu Kasliwal from Gem Palace; he introduced me to his cousins Gitto and Tingu Patni who have a block-printing workshop. I fell in love with the technique and began to design bed and table linen right away. Gitto is a master, I feel blessed that I had the chance to work with her; she taught me so much. Several years passed, and India called once again. This time, I was hired to conceptualise a high-end home textiles collection in Mumbai. I called it Bandit Queen — it was a brand with a story and a strong identity and amazing technical skills. Again, I targeted an international audience. Eventually, I met Anuj Kothari, with whom I worked on a lifestyle concept store. While that project did not come to life, we developed a new lifestyle brand along the way, No-Mad 97% India. I conceptualised everything, right from the name to the commercial and communication strategy, and I continue as creative head even today. This time however, I took another point of view. The fact is that all kinds of designers have been coming to India for many, many years to find inspiration, and to source materials and artisans. The country provides this in abundance. For No-Mad on the other hand, I decided: let’s be Indian and look for inspiration elsewhere. Make Indian products with a twist that draws from other cultures (the remaining three per cent!). This allowed me to finally explore the everyday objects and dig into the culture fully. Many products have been born with this mindset, influenced by Moroccan embroidery, Japanese design or African wax prints. Items from Indian life are revisited to make them more contemporary and playful. The highlight from all my visits has been embroidering an Ambassador car. It was a six-month project — a crazy idea but so satisfying in many ways. Design is so much a part of Indian life that one does not even notice it somehow. The country is vast, and travelling from north to south feels like crossing different nations. Every region has its own crafts and natural materials. It is an endless cornucopia and I know that my life is too short to explore all of it. One would need 10 lives….